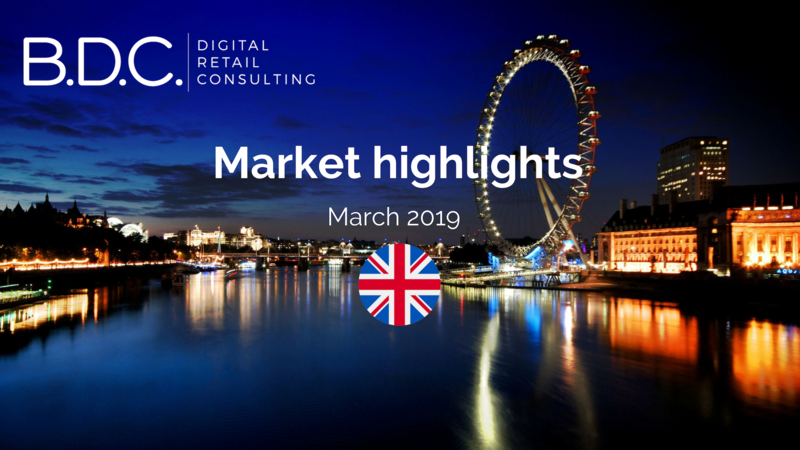 Sales merely increased by 0.5% in February, against an increase of 1.6% in February 2018, according to the BRC – KPMG Retail Index. This is below the 3-month and 9-month averages of 0.9% and 1.2%. Online sales kept increasing, with an online penetration rate raising from 27.5% in February 2018 to 29.6% last month. A large majority of retailers will now be able to accept Alipay payments in the UK. Indeed, a new partnership between Alipay and Barclaycard will allow retailers to accept Alipay without replacing their current payment systems, directly through Barclaycard’s platform. The payment provider is already processing half of all card transactions in the country. New research from Klarna shows that retailers that don’t offer free and easy returns are losing sales and customer loyalty. In fact, 86% of shoppers think that free returns will make them become more loyal and shop more regularly. 80% of customers are now considering returns as a normal part of online shopping and 84% would not shop with a brand again if they get a poor return experience. As customers become more and more aware of the importance of sustainable shopping, as a result, the retail world is shaping new business models. Primark, for instance, has launched its first sustainable denim collection as it aims to shift towards sustainably-sourced products. Its cotton is purchased from Primark’s Sustainable Cotton Programme, which uses natural farming methods. The new women’s jeans are priced from £13 and will be available in the retailer’s UK and EU stores. More recently, Naeco a new British luxury brand entered the market with a new line of men’s swimwear made from 100% recycled ocean plastic. It has developed a revolutionary fabric, turning 15 plastic bottles into a pair of shorts. It uses nanotechnology that offers water-repelling property enabling clothes to dry instantly when stepping out of the water. To highlight its ethic brand image, Naeco is donating time and a percentage of its profits to help ocean charities and organisations around the world. Integrating new skills into the organization and also developing a framework for analysing investments in terms of economic and social impact investments. In conclusion, to be successful in creating a sustainable model, it is necessary to innovate beyond the company’s borders and rely on a system that creates shared value. 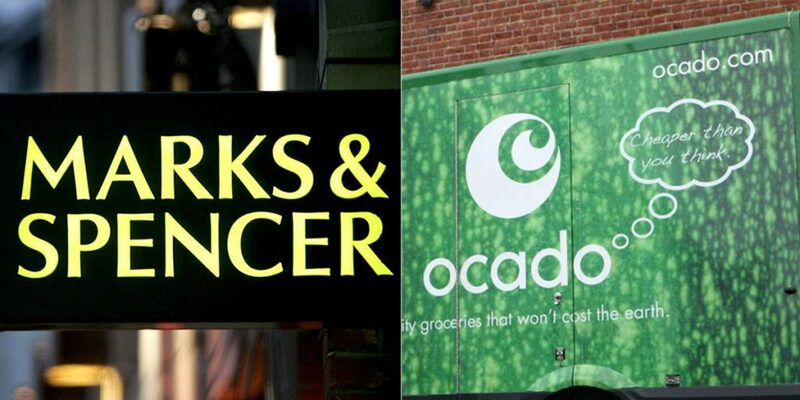 Marks&Spencer (M&S) and Ocado announced this month a joint venture that would give M&S a full online food delivery service, under Ocado’s name. M&S will pay Ocado £750m for its half share. It will launch from September 2020, as Waitrose’s partnership with Ocado will be terminating. By partnering with the delivery champion, M&S is getting ahead of its competitors and is now able to sell food online using Ocado technology to deliver its clients. The joint venture will offer 50,000 different grocery products. In addition to that, Ocado has officially started the trial phase of its new one-hour delivery service Ocado Zoom in West London. This will be powered by the same-day delivery company Stuart and will focus on sub £60 grocery orders. Stuart technology automatically allocates the best courier while integrating with the back-end of Ocado’s website. Subscribe to our newsletter to get the last insights on connected retail!